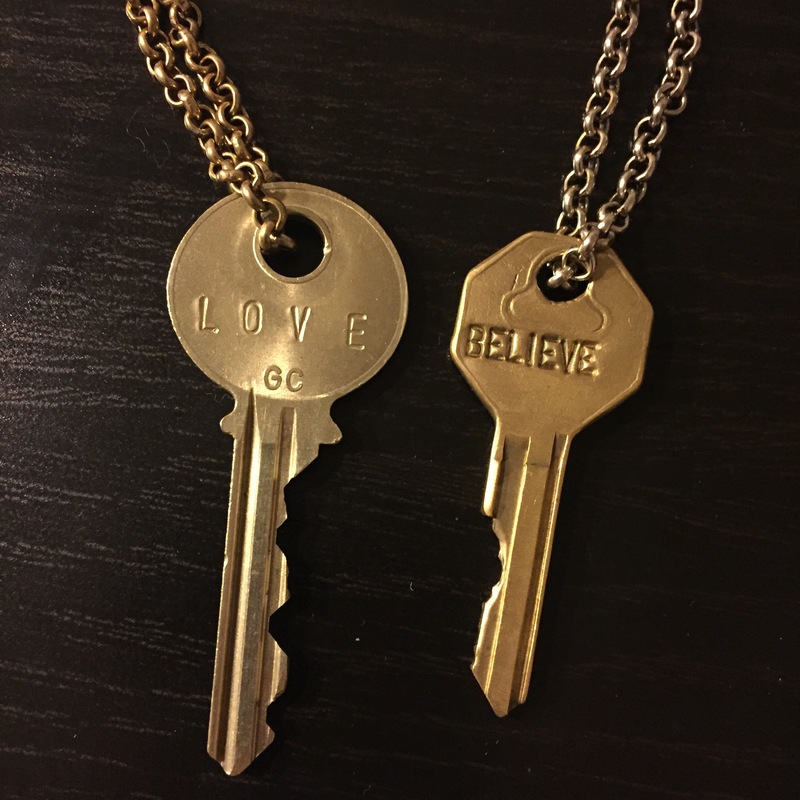 The Giving Keys: I found this company because one of my favorite actors (hey there Zac Efron :P) was wearing one. 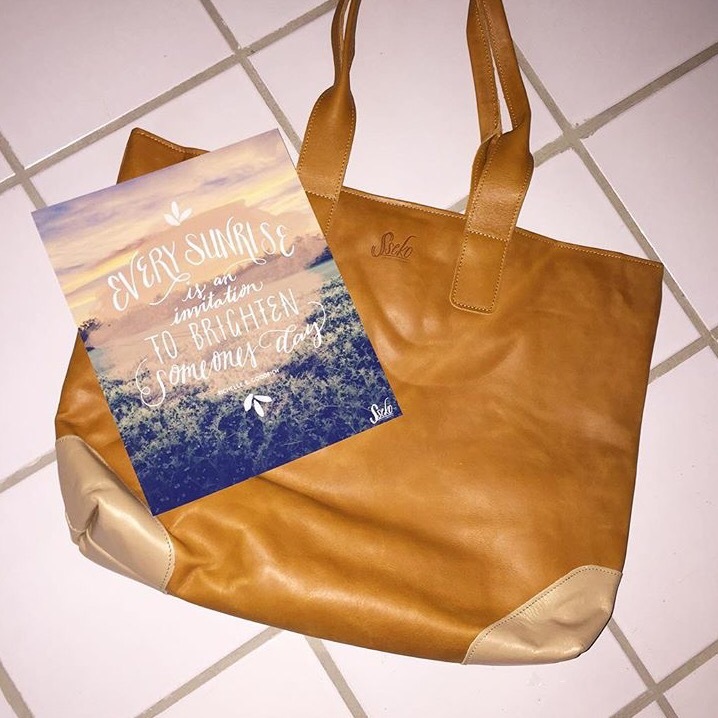 I looked up the company and love how founder, Caitlin Crosby, wanted to find a way to help folks transition out of homelessness. The concept is homeless folks get jobs engraving words on recycled keys. Then people buy keys with a word that they want to focus on or something they aspire for. Then once you feel like you’ve hit that aspiration or you’ve met someone who needs that word, pass the key on to them. So far I’ve passed on two keys and I hope to keep doing so. Lokai: I have seen people wearing these plastic clear bracelets with one white bead and one black bead for a while now and assumed it was just a tread. The idea is that this bracelet is a reminder of balance for oneself with a drop of water from Mt. Everest (highest point) in the white bead and dirt from the Dead Seas (lowest point) in the black bead. People who wear it are suppose to remember that at their highest points in life, they should be humble and at their lowest point in life, they should be hopeful. This bracelet caught my eye when I saw the colored versions of this and that’s when I did more research. 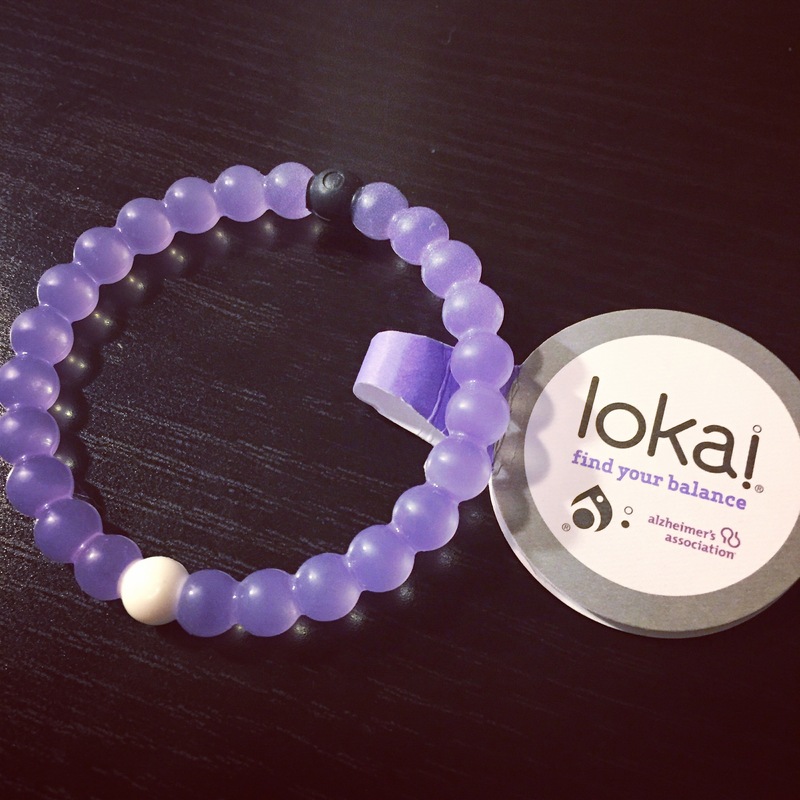 Lokai partners with a charity and donates a part of the purchase for research. They make various colored ones for the various charities such as Make a Wish and Alzheimer’s Association. The Lokai bracelet that I ended up buying is purple for the Alzheimer’s Association because it’s a personal cause to me. I hope that Lokai continues to bring awareness to important issues and hopefully the money will lead to a cure one day! 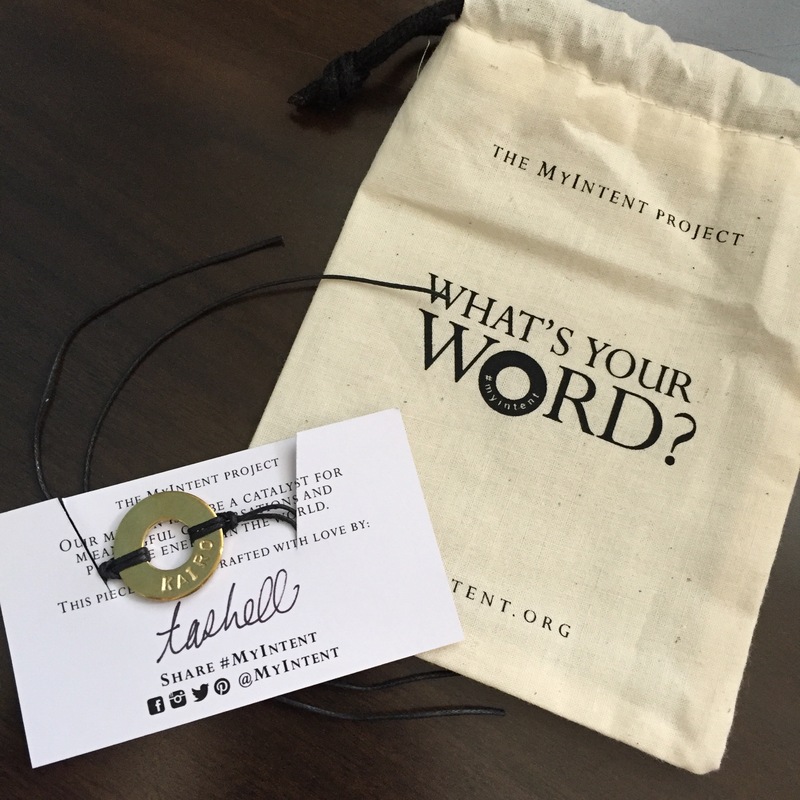 My Intent: I saw this on Time magazine (it was on Kanye and I’m not a huge fan…but fashion always gets me) and was interested in such a simple concept: engrave a word on a washer, make it a bracelet and have that be your intent for this time in your life. This is somewhat similar to The Giving Key, but this isn’t about paying it forward, it’s about encouraging us to live with purpose. The bracelet isn’t meant to be for forever and they generally fall off 3-4 months of wearing, but since they are only $12/each, I feel like the reminder is worth it. 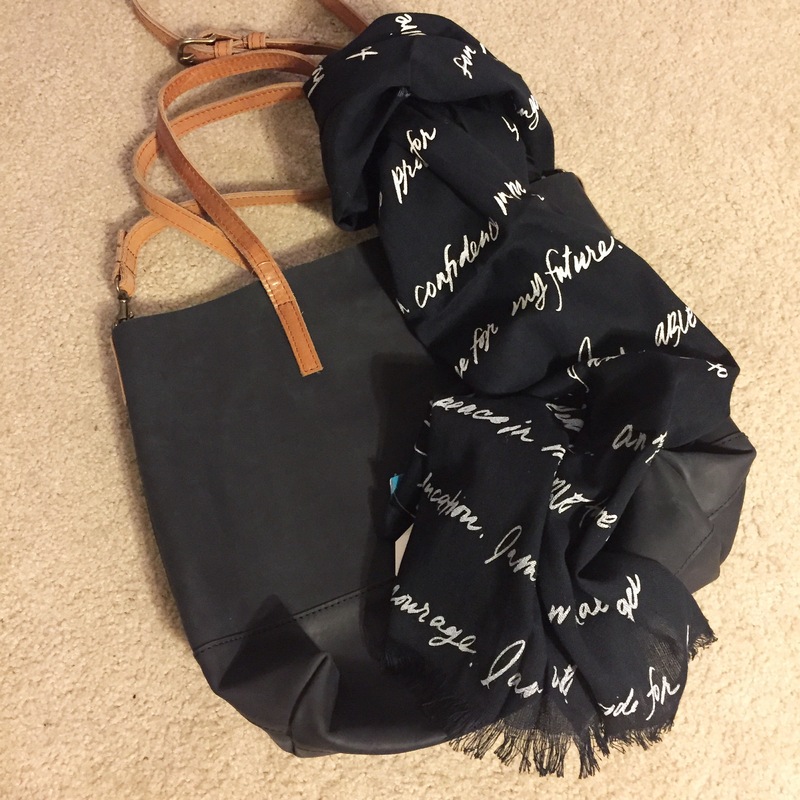 My Intent brings awareness and raise funds for a bunch of organizations.